Tripp Lite's Power It! TLM615NC20 power strip offers reliable, convenient and cost-effective power distribution for appliances, power tools, lighting and other electrical equipment requiring heavy-duty 20-amp service. 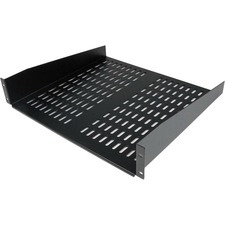 Includes 6 NEMA 5-15/20R outlets, 15-foot AC power cord and keyhole mounting slots. 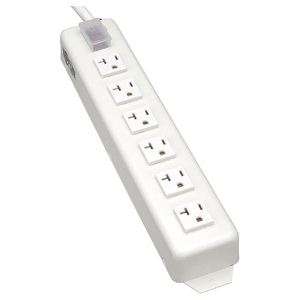 Multi-outlet strip reduces cable clutter and enables the connection of multiple electrical devices to a single AC wall socket. Features rugged metal case to stand up to the most demanding environments, illuminated power switch with transparent cover to prevent accidental shutoff and 20A integrated circuit breaker to prevent dangerous overloads.